How guidelines SHOULD work in After Effects. GridGuide is simple, but REALLY powerful. 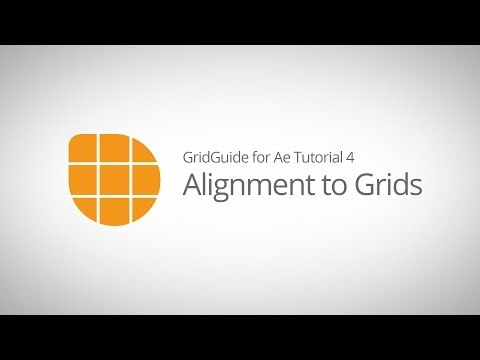 If you value precision in your designs, GridGuide is a must-have. Auto Layout improves your designs – even for people with no design background. Just place your layers roughly where they should be, select them, and click the Auto Grid & Snap button. GridGuide applies fundamental design rules to improve the placement and size of your layers, determining the grid that best fits your content. Modifiable Shape Layer Guides – because motion design isn't static. 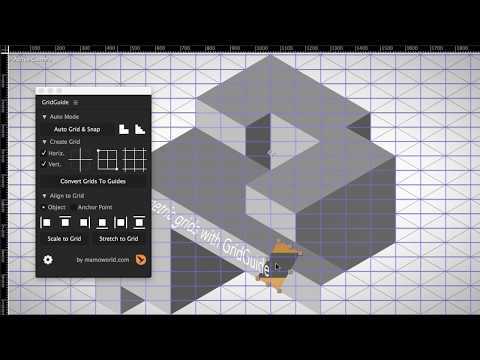 GridGuide's grids are based on shape layers, which means that you can move, rotate, scale, parent and keyframe them just as any other layer. Don't limit yourself to static designs – let your guides follow your motion. Intuitive Alignment Tools – allows you to align, scale and stretch layers. Just click them several times to make a layer jump from one grid line to the next. Of course, the alignment tools also work on rotated grids. Native, snappable After Effects guides – if you prefer guides that you can snap to interactively, you can convert your shape layer guides to native After Effects guides using the Convert Grids to Guides button. 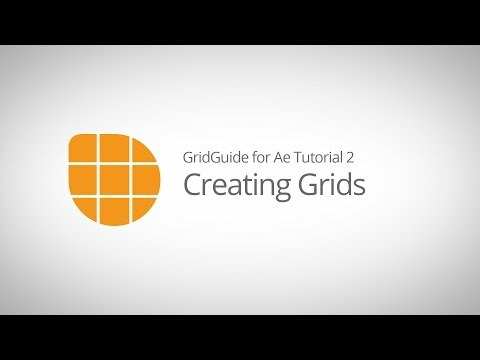 There are many ways to create grids in After Effects, but GridGuide is the only automated solution to create truly snappable guides! Fully customizable grids including controls for gutter, margin, stroke color, stroke width, and more. What’s more, GridGuide supports both bounded and infinite grids, as well as grids that consist of horizontal or vertical lines only. Single Lines and Crosshairs add even more flexibility to your design. Of course, the alignment tools work with those lines, too – even if there are many of them in the composition. Thanks for building this great script @mamoworld, using it right now on a project! Instant purchase. Thanks for crafting such a much-needed capability! On Ae 16.0 or older, Adobe After Effects doesn't grant extensions access to its guides – they simply cannot create or modify them. 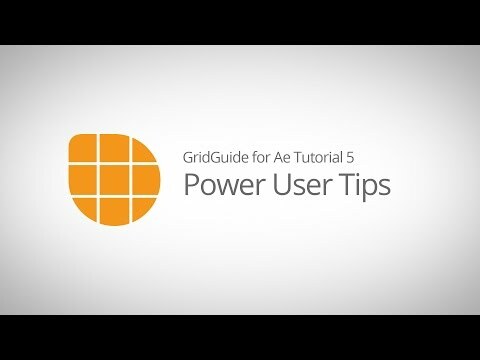 Nevertheless, GridGuide can create these guides for you using a clever workaround: it uses some Photoshop magic in the background, since Photoshop extensions can create guides. What does this mean for you? You don't need to do anything manually in Photoshop – the entire process of creating the guides is automated. Although it may take a few seconds, it is certainly the fastest way to create snappable guide grids in After Effects. 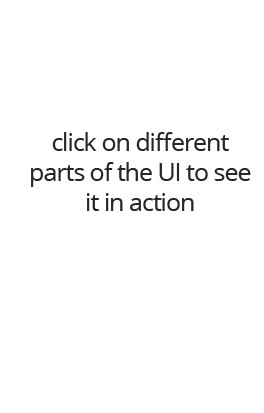 On newer Ae versions, this workaround is not necessary anymore and the creation of guides works instantly. uses the new AE CC 16.1 scripting features to create guides - no need to launch Photoshop, so creating the guides is much faster now on the new Ae version. fixed bug in "convert grids to guides" feature for long comps (error message "unable to set workarea duration). Ray Dynamic Texture is your solution to tedious texture work. Harness the power of After Effects expressions without writing or reading a single line of code. More than 125 ready to use (and customizable) iExpressions, each of them with an easy and intuitive to use interface.